If you love the Neutrogena Ultra-Sheer Dry Touch during these hot, scorching days, you'll definitely be in for some sun care treat with Neutrogena's newest addition to the Hydroboost line --- the Hydroboost Gel SPF30! 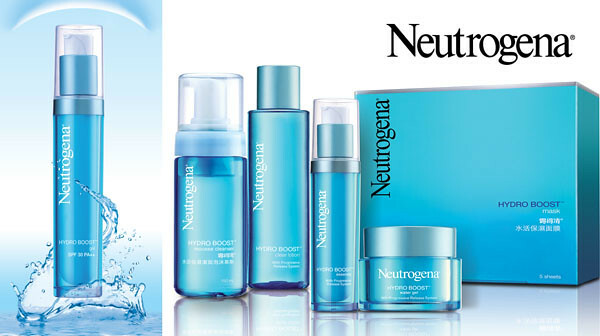 Some few weeks ago, I witnessed the unveiling of three new skincare products from the Neutrogena event: the Hydroboost Gel SPF 30 and two Deep Clean Ultra Foam cleansers. The event opened with a 4-course dinner which I must say struck me as the best event dinner I've ever had to date. 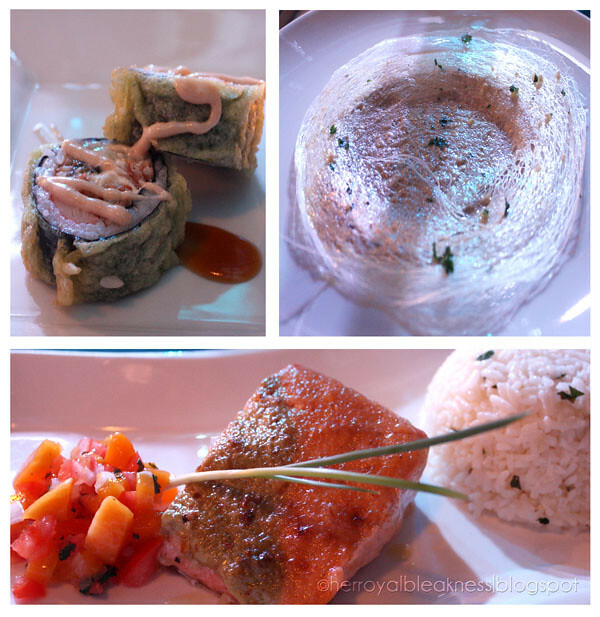 Chef Vincent Rodriguez of Peppermill Caterers, Inc. totally prepped us for a night of wonderful (and delicious!) things. We also had a 4th course, a sumptuous steak, which ended with a sweet dessert but I gobbled them up even before I could take photos. Chef Vincent and his team prepares food for Red Garlic (Blue Ridge, Katipunan) and Krave (Legaspi Village, Makati), so I'm very sure I'll be checking out either of these two some time soon. The Hydroboost Promise: A non-sticky, moisturizing sunblock experience! Still remember the Hydroboost water gel moisturizer I used some few months back? I have never tried anything as quickly absorbing and I can never contest that it's a non-sticky product for my oily, sweaty face. Cheek-to-Cheek Experiment: Makes me think about the times I made beso with girl and guy friends while my cheek felt as tacky as putting Brand X moisturizer on my face! Kakahiya! Thank heavens for something as non-sticky as the Hydroboost water gel! Oily Imprint Test: You can actually see, via blotting papers, how Neutrogena is ZERO oil. Styro Ball Challenge: Styro balls stick (and hardly even come off!) to the Brand X hand. Zero styro balls on the Hydroboost gel. 3 points for Neutrogena so far. Makeup in A Minute Test: Makeup applies non-cakey and smooth over the Hydroboost moisturizers! 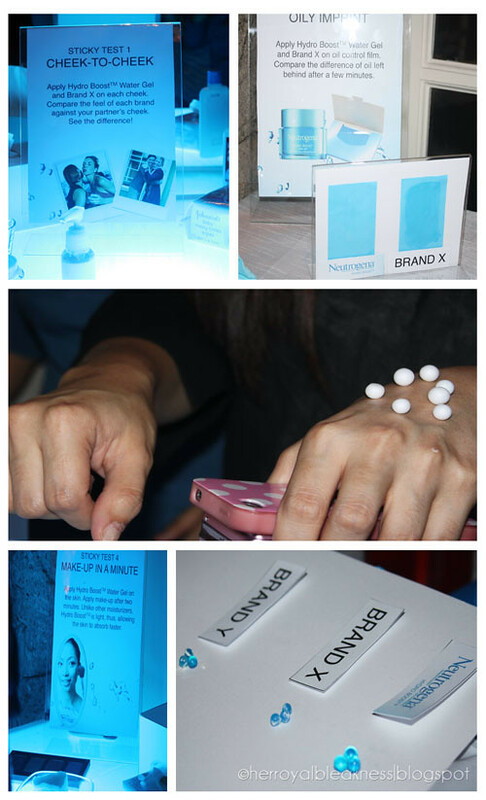 Moisturizing Test: Blue tiny balls are soaked up in Brand X, Y and Neutrogena. Biggest balls mean more hydration. If the water gel moisturizer is this good, will you not be more excited with something as revolutionary as a gel sunblock? Lightweight, fast-absorbing and most of all, non-sticky --- perfect for our tropical weather! The event venue, Peppermill Caterers, Inc.'s headquarters, had awesome interior! 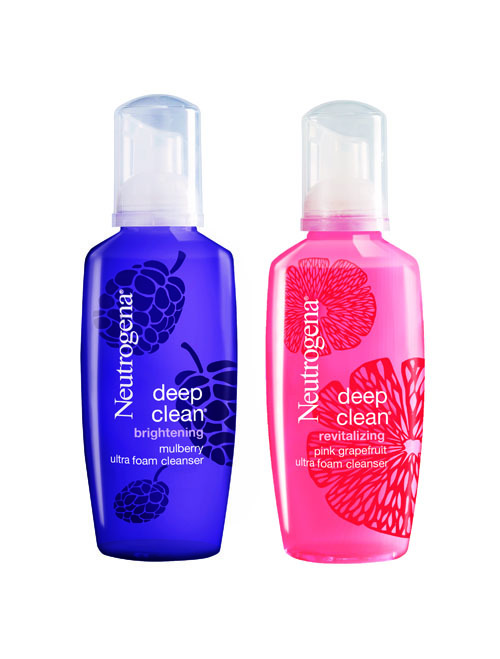 Two new bath counter candies to love: Neutrogena's Ultra Foam Cleansers in Brightening and Revitalizing variants. Will review at a later time. 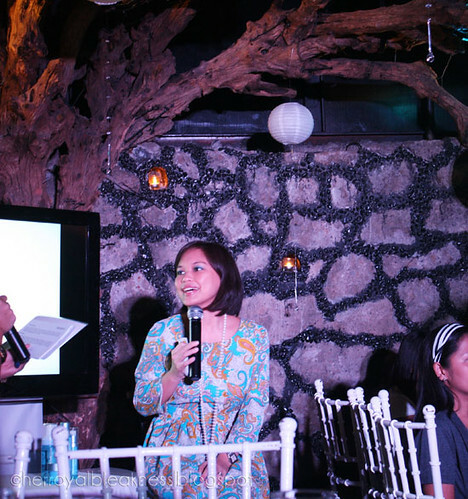 Via Abano, Neutrogena's Senior Brand Manager catered to our skincare (and even makeup!) questions. This fine young woman has greeeeaaaat skin. 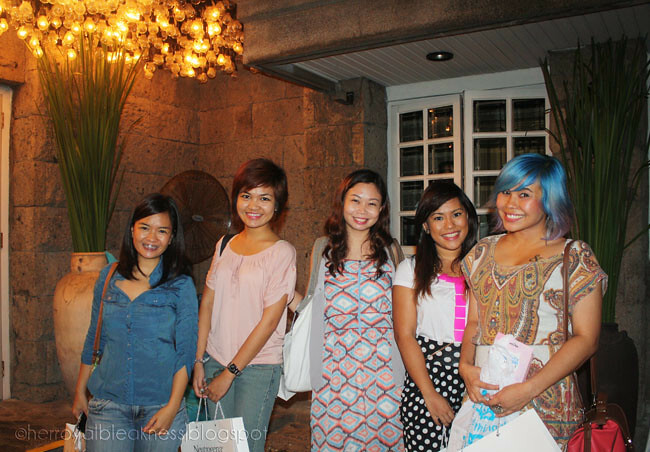 Spent the evening seated with and having fun with these girls: Rae, Krissy, Kira, Lauren, and Helga! It's amazing that the experiments we conducted showed physical proof of what I have experienced so far from the Hydroboost gel moisturizer--- quickly absorbing with ZERO sticky feel. With the new addition of another great product as the Hydroboost gel SPF 30, I can tell Neutrogena's R&D folks are working quite impressively. 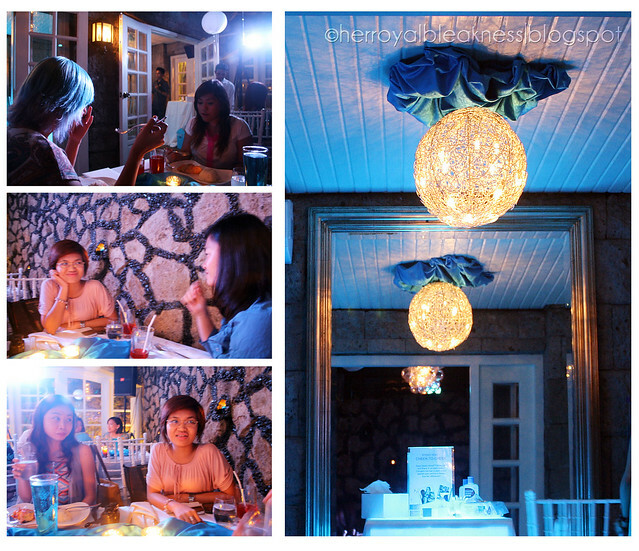 Thanks Neutrogena Philippines for conceptualizing an intellectual evening! That's what I get for not wearing flats all the time. I look so tiny! Anyway, yey! You're officially back. I want to try those, the only thing is that. I always have breakouts every time I try Neutrogena products. so, I've steered clear from any of their line.